There have been many alternatives like Skype, Yahoo Messenger, Google Talk for free calling on Windows desktop. Viber with its huge reach among mobile users can be great addon for desktop users as well. Now you can install and use Viber application on Windows (8 and 7) computers and Mac systems to make free calls from PC or Mac itself. Viber for Windows allow users to make free calls with other Viber users on any device and network, in any country without any restriction or extra charges. 1. Open Viber.com website on your computer and click on Windows option. Then click on Get Viber button to start downloading installation file of Viber software. 2. Follow on-screen steps to complete installation. It will just take few minutes to finish install of Viber program (depends on your internet connection speed). Once install is complete, you should see Viber program window on the computer. 3. It reads “Welcome to Viber, do you have Viber on your mobile phone?”. 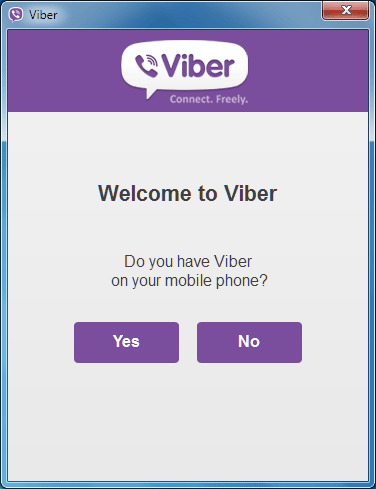 Click Yes, if you already have Viber app installed on your mobile phone and enter your phone number in the next screen. 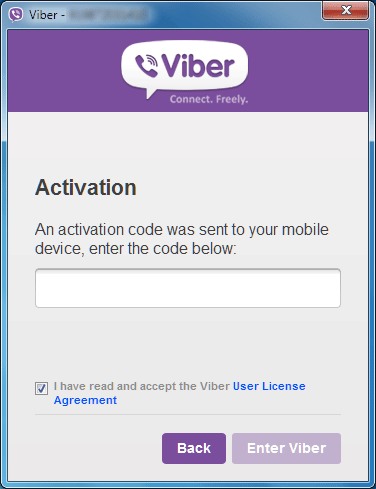 Then input the confirmation code received on mobile phone in the program screen on Windows computer to start using Viber on Windows. 4. If you do not have Viber on your mobile phone, click No option and select operating system of your mobile phone among: iOS, Android, Windows and other option. 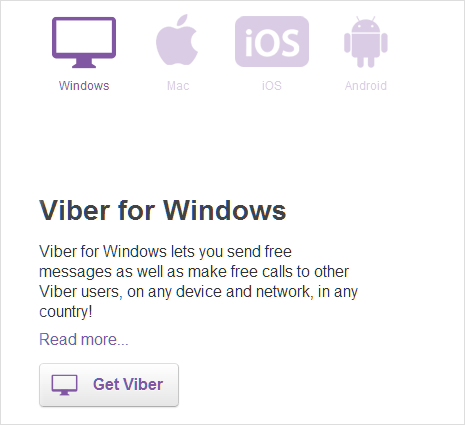 Install Viber on your mobile phone and then repeat step 4 to confirm installation and start using Viber on Windows. Viber on Windows support HD video calls, free text and photo messages and group conversations. You can even transfer on-going calls between devices. Also, contacts and messages sync between mobile and Windows automatically for consistent access.